Open source software not only provides free of cost service but also enough efficient to handle big tasks. If you think to start a new small retail business like a restaurant, shops, SME etc. 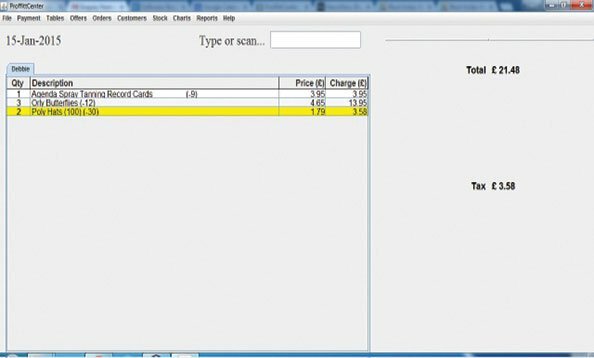 Then, here is some well known POS (Point of Sale Software) software cash and inventory system to manage the business cash flow. List of the point of sale software (POS) for small retail businesses those are free to download. It is premium business software that also provides an opensource POS project which is available on Github. It is a web-based stand-alone solution runs on both Windows and Linux systems. Integrated directly with inventory and e-commerce tools. 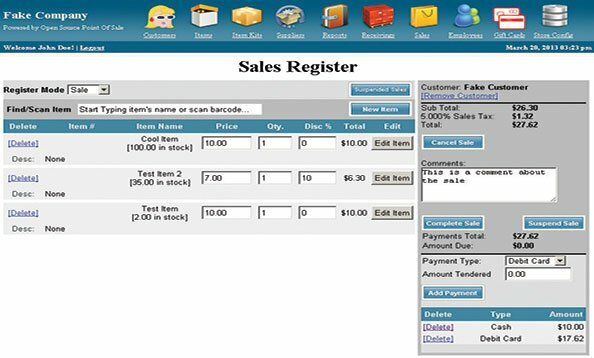 Open Source Point of Sale Software is a web-based point of sale system written in the PHP language and suitable for small and medium stores. 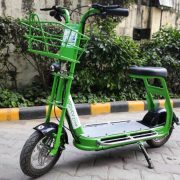 It uses MySQL as the data storage back-end and has a simple user interface. 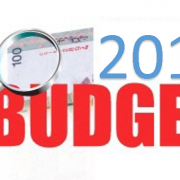 It has a master database for customer, sales, supply, employee and provides flexible reporting. However, being a web-based POS it has limited support for POS printer and cash drawer. 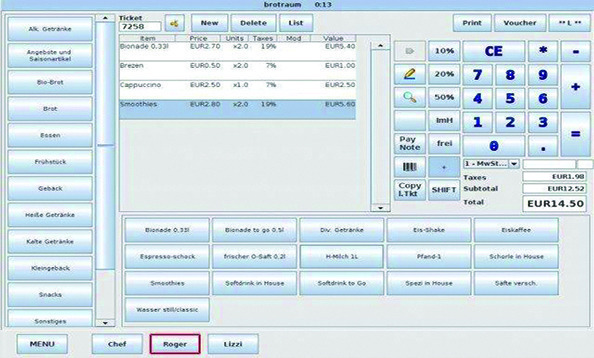 It is a multi-lingual POS (Point-Of-Sale) application designed for Touchscreens. It supports industry-standard hardware and is capable of running on display sizes from as little as 800×600 upwards. Installing uniCenta oPOS is simple and fast and it comes packaged with its own built-in Apache Derby Embedded database. 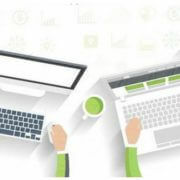 It’s also multi-terminal, multi-location and supports a range of proven commercial-grade databases such as Apache Derby Client/Server, MySQL, HSQLDB, PostgreSQL and Oracle 11g. 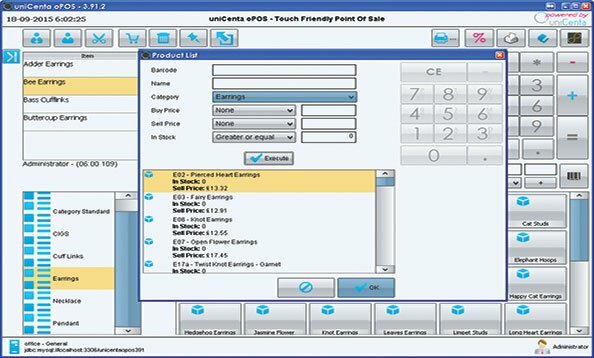 Proffittcenter is an electronic Point of Sale program with a good sales screen and intelligent adaptive ordering system. This EPOS is another completely free POS system and is like a cash register – it takes money, runs discounts etc. Also, it has capabilities of reports and some inventory management. It is actually a great solution for merchants who are new to POS software. 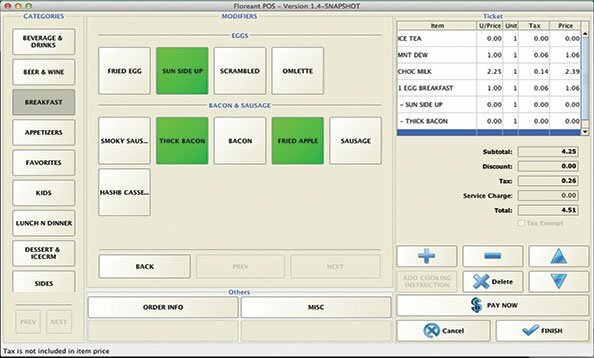 It’s got a great user interface, and it has the basic functionality to allow a new user to learn how to operate and set up POS software. 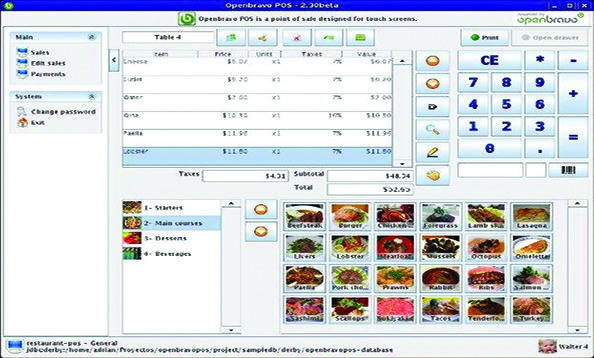 It is an enterprise-grade Open Source Restaurant Point of Sale portable application. It can run from Pen drive, Linux distros, Mac 10.4+ and Windows XP to 8.1. (Requires Java 7+). It can be used as single cash terminal with an embedded database or multiple terminals in a client-server model. 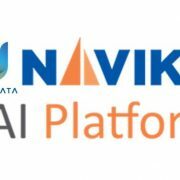 It supports a wide range of Databases and is ready to connect with Oracle and MSSQL. Supports Commercial free plugins for Inventory Control, Transactions including Purchase, Move, Wastage, restocking levels, Warehouse for Raw material and Finished items. Openbravo Java POS is a point of sale application designed for touch screens, supports ticket printers, customer displays, and barcode scanners, supports different type of hardware, cash drawer and has inventory. It is multiuser providing product entry forms, reports, and charts. POSper is a Point Of Sale software (POS) System designed for small businesses. It supports a wide range of hardware and databases. It offers Intuitive touch screen operation and user-oriented design for retail and restaurants. Also, it supports multiple devices such as printers, scales, cash drawers, scanners and card readers. Wanda POS is a free open source point of sale software which you can redistribute and/or modify under the terms of the GNU General Public. Wanda POS comes with its own built-in database. Wanda POS is suitable for a wide-range of business activities not only because it’s free to download, free to use and free to own, and available in 15 languages, but because of its ease of use and exceptional flexibility including the Unicode functionality. Great list, thanks for the information. Would love to see a list of free POS systems for hair and nail salons. 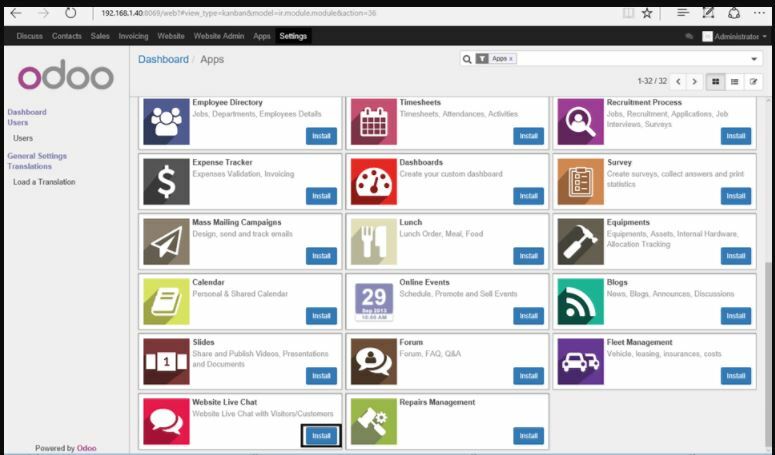 Thanks..
You may consider adding Harbortouch to your list of free software offerings. While there is a monthly service fee for service and support, the actual POS hardware and software is “free” with a 3 year agreement. A little different model than you systems mentioned, but it’s very robust and full featured system. Thanks for your consideration. Cathy.